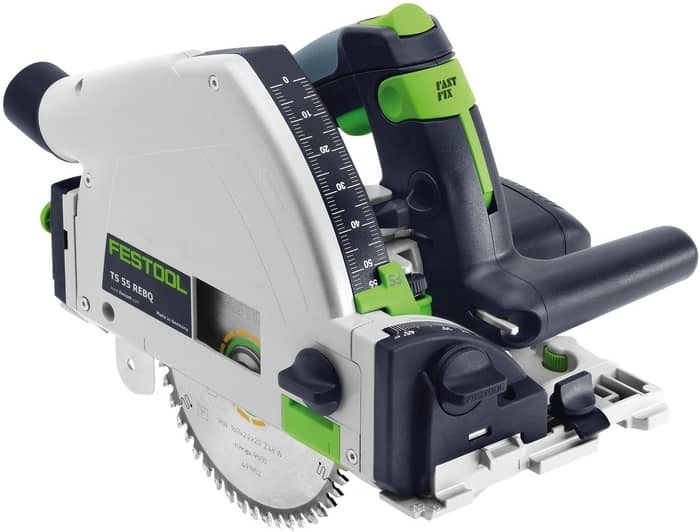 Thanks for taking the time to read our review of this high quality Festool TS 55 circular saw. What makes this one so expensive is also what makes it stand out from the crowd. This TS 55 model is a combination of a circular saw with a guide rail. This combination makes sure that you get precise, splinter-free cuts up to 55 mm(2.1") without the hassle of time consuming reworking. It also has a mobile dust extractor and a spring mounted wedge helps stop the dreaded kick back. Buyers of this model really liked the accuracy and variation of the depth setting, and when used in conjunction with the splinter guard, they said this made this machine a joy to use. Overall, online buyers have given this model a satisfaction rating of 96% and from all the reviews that we have read, we have yet to find any bad ratings. As one buyer rightly stated, "this can make an amateur look professional." This is in our opinion one of the best plunge saws ever made. 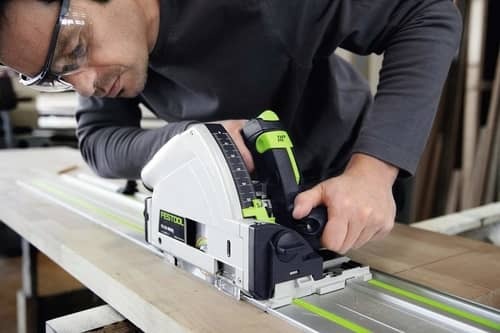 All Festool branded tools come with a 3-year warranty. The company Festo was founded by company partners Albert Fezer and Gottlieb Stoll as far back as 1925. Their original business was on fixing wood processing machinery and modifying these machines by converting plain bearings to ball bearings. After that they started to make tools designed for carpenters, including chainsaws, circular saws and routers. They then progressed to start making sanders and then to make circular saws with guide rails. From 1975 onwards they started to focus on power tools and air tools. 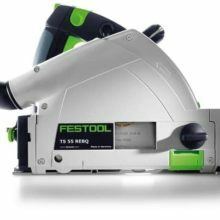 In the year 2000 they changed their company name from Festo ToolTechnic to Festool. They continue to produce a whole range of high quality power and air tools and are based in Germany. We know that this is not a cheap saw with an RRP of £474.00 but you can almost always find this cheaper online if you shop around. We also know that buyers rate this model highly with a 96% satisfaction rating. In this section we also like to capture and summarise what real life buyers had to say, after they had bought and used the saw. We have summarised those findings just below. The buyer reviews are excellent for this tool. The guide rail doesn't come with this model and you do have to buy it as a separate item. There are also different sizes of guide rail. It is a question of picking the right one for the job. There are a lot of videos that explain that on YouTube, and we have included one later in this article. People who are thinking about buying a saw like this may also be interested in the specification of the saw, and also to fully understand how that particular specification can suit their purpose for buying. We have included that information just below. Model Number is "TS 55 REBQ-Plus GB 240V"
There is no doubt that this is the best plunge saw we have ever used. If you can afford the high price, then without any doubt this is the model to buy. It is expensive though and we know that will put many buyers off right from the start. This is a very high quality brand and if you have never used their tools before, then you are in for a treat. However is this is not the circular saw that suits you, then check out our top 10 list of circular saws by clicking here. This saw though does out shine anything else on the UK market. It allows you to cut through all types of wood including soft woods, hard woods, plywood, man made boards and MDF. Best of all the cuts are extremely accurate and clean. It allows the end user to produce very high quality finishes and also saves the end user a lot of time. It really does have all the right features, and the build of the saw is about as good as you can get.